With summer just around the corner, we wanted to put together a list of some of San Diego's most popular beach destinations. 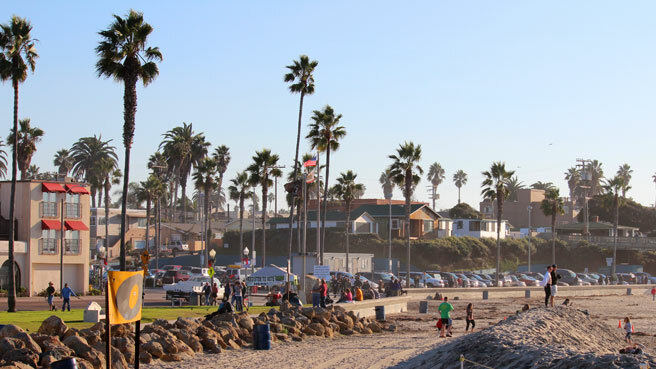 Whether you're a San Diego local and already have your favorite spot picked out, or you're just visiting from out of town, we can driveu and the whole family to the beach. PB wins the price for San Diego's most popular beach, if not the most crowded. Drawing crowds from all over the county, most of the locals are college age students who frequent the many bars you will find driving down Garnet St.
And even though drinking has been banned on the beach, you wont find it difficult to find a bar nearby to quench your thirst, even right off the boardwalk. Just south of Pacific Beach, you will find one of the more unique geographical areas in San Diego. Mission Beach is largly comprise of one single road (Mission blvd) with the Ocean on one side, and the calm bay to the other. It is also home to the Historical Belmont Park Rollercoaster, and the somewhat newer Wavehouse. La Jolla Shores is the perfect destination for families. If you're looking to wade in the water or enjoy a picnic on the grass, this is the beach for you. Make sure you visit the Cove for scuba diving, and seal watching. La Jolla is known as one of the more expensive parts of San Diego, and you will find many high end stores to window shop right along the beach. One of the last surviving "surf towns", Ocean Beach has a special feel compared to other beach communities in San Diego, due in large part to its locals. Many of whom are self described Hippies, or Beach Bums. Visit the longest Pier in San Diego, and take a drive by sunset cliffs for some of the best surf in the county. And if you own a dog, you can take off his leash, and let him run free at dog beach. This is the blog for Yellow Radio Service of San Diego. It will be filled with the latest news and announcements, events, and general info about our company.